In today’s society, we rely heavily on the use of crystals and minerals from the jewelry we wear to the televisions we watch. Most of us are familiar with the more “popular” gems. However, did you know there are usually at least several different types of a particular stone? The garnet, for example, has at least 17 different varieties. All share the same crystal structure but are varied in their chemical composition and color. Among these varieties is Rhodolite, a hybrid garnet that is comprised of both pyrope and almandite. People know it for its rich ruby-purple coloring. From its history to its metaphysical properties, this article gives you all the insight you need to know about the official birthstone for the Aquarius. The use of garnets has been prevalent for centuries. In Egyptian society, garnets were prized and even entombed with mummified bodies as prized possessions for the afterlife. The ancient Romans also used carved garnets to stamp wax to secure important documents. 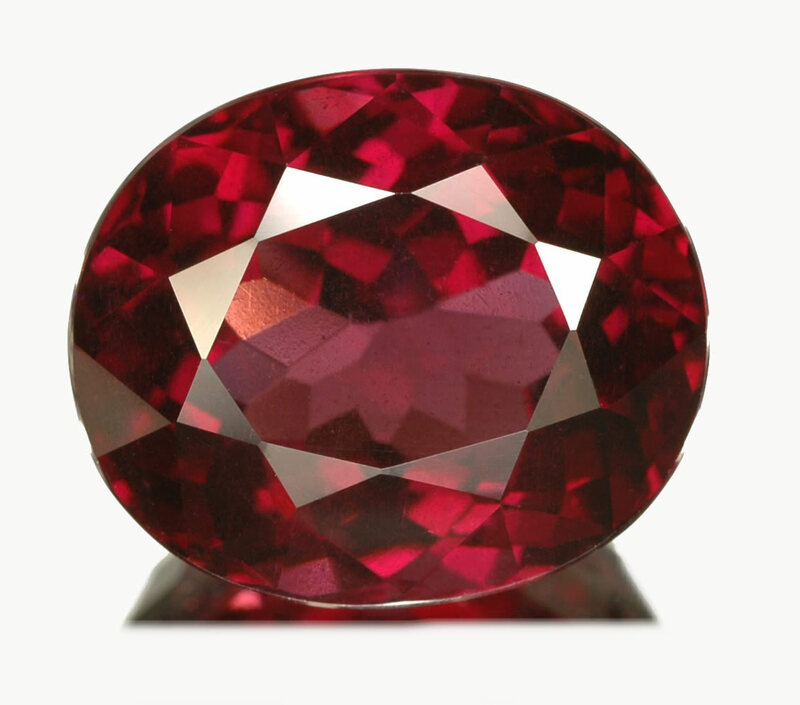 Having roots in biblical times, it is said that Noah of Noah’s Ark used garnets in a lantern to light the way at night. Some say that garnet was one of the precious stones God gave to King Solomon. As the centuries progressed, red garnets became one of the most widely traded gems and was favored by nobles and clergy. Around the 1500’s, the discovery of the Bohemian Massif led to increased availability of the garnet. It became the source of the jewelry industry until the late 1800’s. The Rhodolite garnet was first discovered in Cowee Valley, Macon County in North Carolina. Also responsible for the discovery of emeralds and hiddenite in N.C., mineralogist William Earl Hidden discovered this precious stone alongside his colleague J. H. Pratt. In 1898, Hidden and Pratt authored a paper that proposed the name Rhodolite which they claimed was derived from the Greek word rhodon meaning “rose”. Despite the explanation in the paper, many argue it comes from the Latin word granate meaning “seed”. This is due to its similarity to the pomegranate seed. Others argue that the name comes from its color relation to the rhododendron flower. As stated previously, Rhodolite is comprised of both pyrope and almandite (Py70Al30). Pyrope is much rarer than almandite and is usually free of flaws and is a transparent red. You can usually find it in alluvial deposits. These stones typically range from rose-pink, red-purple to raspberry-purple and form isometric crystals. A test from 1984 shows that when heated to 600°C, the stone’s color was irreversibly changed to a hessonite brown and lost its purplish hues. Many holistic healers look to the power of crystals and minerals for aid in their healing modalities. This is an eclectic stone that people use to inspire and to encourage emotional healing. Many believe that is can also encourage the healthy function of your heart and lungs. In fact, many medics during the ancient times placed garnets in open wounds to stop bleeding and to encourage clotting. Many cultures trust that all garnets have protective energies and can be used to release bad karma. Believers often use these stones for treatment, to aid in events where a person is attempting to overcome a trauma or crisis. In energetic healing where chakras are involved, the garnet represents the Muladhara (root) and the Anahata (heart) chakras. By simply placing the stone on the correlating parts of the body or holding during meditation/prayer, it can open and clear chakras. As a result, it leaves you feeling more grounded and balanced. Garnets settles between a 7 – 7.5 on the Mohs scale making it durable and perfect for jewelry. Many believe that gifting certain stones on anniversaries will help to fortify a marriage. The traditional stone for a 2nd anniversary is a garnet and symbolizes love, purity, truth and compassion. Egyptians often wore necklaces beaded in garnets such as the necklace on display in the National Museum of Ireland in Dublin. It dates back to the Roman rule of Egypt after 30 BC. Garnets of all colors were the focal points and adornments in most jewelry. Many of the pieces on display in museums range between the 1500’s to recent creations over the past few years. One of the most iconic pieces is of a hairpin on display in the Smithsonian. The hairpin dates back to the Victorian era. It sports one of the most popular cuts during this time period – the rose cut. All gems and minerals are mined from certain areas around the world. Some are easily accessible and others a little more tricky. Most garnets are fairly easy to come by. This gem can be found not only in Burma (Myanmar), Brazil, Kenya, Madagascar, China, Mozambique, Sri Lanka (Ceylon), South Africa, Zimbabwe, Tanzania, but also in parts of the United States. While we all love having that special piece of jewelry or even just a fragment on display, mining comes with a cost to our environment. Some of the aftermath includes sinkholes, deforestation, and loss of biodiversity. It can even contaminate soil and natural water sources with chemicals. In an effort to prevent this from happening, many countries require mining companies to return the land to as close to original as possible. This holds the companies more accountable and also prevents any unnecessary destruction. Rhodolite is truly an interesting stone from its use historically to its metaphysical properties. All gems and minerals are extremely fascinating and we have only skimmed the surface of the geological world. Now that you are familiar with the uses of Rhodolite, how do you think you will incorporate it into your life? Hey Buddy!, I found this information for you: "Rhodolite – The Astonishing Gem of Purple Crimson Hues". Here is the website link: https://accessgems.com/rhodolite/. Thank you.